It's easy to navigate your way around town. Whether your visiting UNC Hospitals in Chapel Hill or Hillsborough, there is public transportation available. 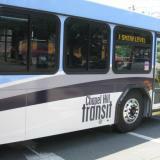 Chapel Hill Transit (CHT) operates FARE FREE fixed-route and demand-response service throughout the Towns of Chapel Hill and Carrboro with connecting routes to the regional transit provider, Go Triangle which offers connecting routes to Durham and Raleigh (nominal fee charged). CHT also provides service to Hillsborough for a round trip fee of $4.50. Other options include Park & Ride lots with a daily rate of $2 . 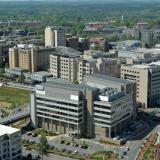 Visting the UNC Healthcare main medical campus for the first time can be a daunting experience. There are four major hospitals on campus each with separate entrances. Furthermore, Emergency and the School of Dentistry is also located on this campus each with their own entrances. There are two parking decks, one for employees and one for public parking. For your convenience, there is are two skywalks that lead from the public parking deck towards each hospital plus golf cart shuttle service. Click the title link above for a printable map to help you navigate campus. Click Transportation below for parking information. 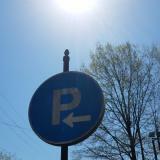 Self-parking, valet parking and handicapped parking are all available options on campus. Click the link above for full details. 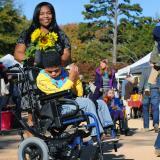 A guide for those with physical limitations, including young families with strollers. Note: Subject to change. When you need more than a hotel room... Chapel Hill has a few options for patients and their families who travel great distances to UNC Hospitals. 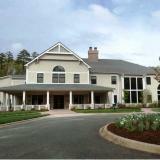 SECU Family House provides guests with lodging, meals, supportive programs, transportation and a caring support network. 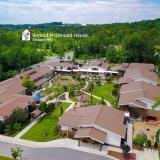 The Ronald McDonald House offers a number of special programs to help support families and children experiencing the challenges of illness.